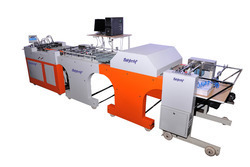 Prominent & Leading Manufacturer from Faridabad, we offer automatic scratch card line, scratch card printing machine and scratch card printing and coating machine. We are a paramount organization that is engaged in trading superior quality Automatic Scratch Card Line. The range made available by us has provision for variable data printing and inspection camera mounting. Our range is used for medicine box numbering or coding, hiding the data & then silver scratch-off to provide solutions to various security printers. We are a paramount organization that is engaged in trading superior quality Scratch Card Printing Machine. The range made available by us has provision for variable data printing and inspection camera mounting. Our range is used for medicine box numbering or coding, hiding the data then silver scratch-off to provide solutions to various security printers. 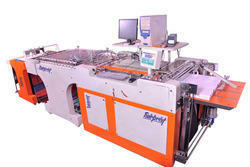 We are a paramount organization that is engaged in trading superior quality Scratch Card Printing and Coating Machine. The range made available by us has provision for variable data printing and inspection camera mounting. Our range is used for medicine box numbering or coding, hiding the data then silver scratch-off to provide solutions to various security printers.